My Janome 8900, complete with all her stickers and accessories. For the last four years I've been sewing on a Janome 8900. I totally love it, but I've been feeling like I wanted a change for a bit now. 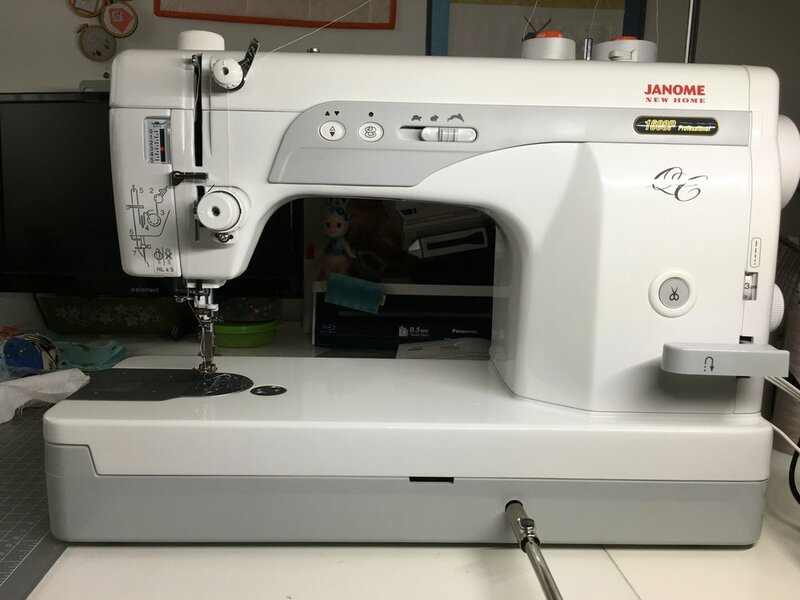 Several of my friends recommended the Janome 1600p - an industrial straight stitch machine. Since I've mostly been wanting more speed I thought that would be a good idea! Here's the pros and cons of the 1600 to me. Leaving a machine that can do literally everything for one that can only do one stitch. 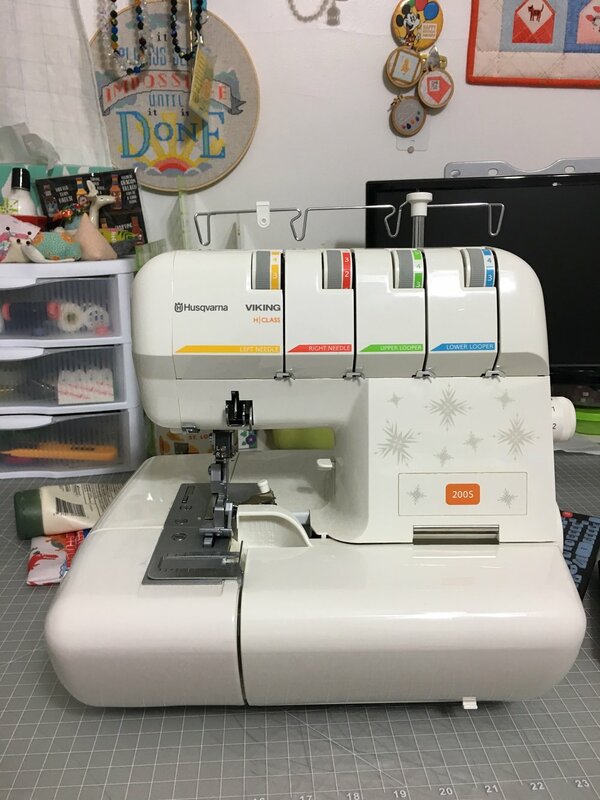 So, I decided at the end of the day I was going to need 3 machines to replace the 8900, the 1600, a serger and a small machine to do buttonholes. I haven't picked out a little machine for buttonholes yet, but I'm keeping my eyes open.